Seattle Opera deeply apologizes to the young people who had signed up for our May 1st event to work with RETNA (Marquis Duriel Lewis), an internationally-celebrated artist whose work is featured in our upcoming Aida. It was especially disappointing that RETNA chose to cancel the free event, because this would have been an important opportunity for young people, including People of Color, in Seattle to work with an accomplished graffiti artist (whose practice now includes street art and painting on canvas), and who identifies as Black, Salvadorian, and Native American. We had hoped that this event would have been a step forward in serving intersectional youth, and individuals who do not always feel implicitly welcome in our opera community. RETNA’s cancellation was a setback, but we promise that we will continue to create programming geared toward equity. We continue to plan easily-accessible events for the diverse people of our region. Born Marquis Duriel Lewis, the street and studio artist RETNA makes his Seattle Opera debut as Artistic Designer of Aida. In our upcoming production, RETNA uses the same illuminated script that's earned him commissions from Justin Bieber and Usher. Seattle Opera has a once-in-a-lifetime opportunity for Seattle-area youth ages 11-18 to collaborate and create with American street artist RETNA on Tuesday, May 1 at McCaw Hall. This event is Free! 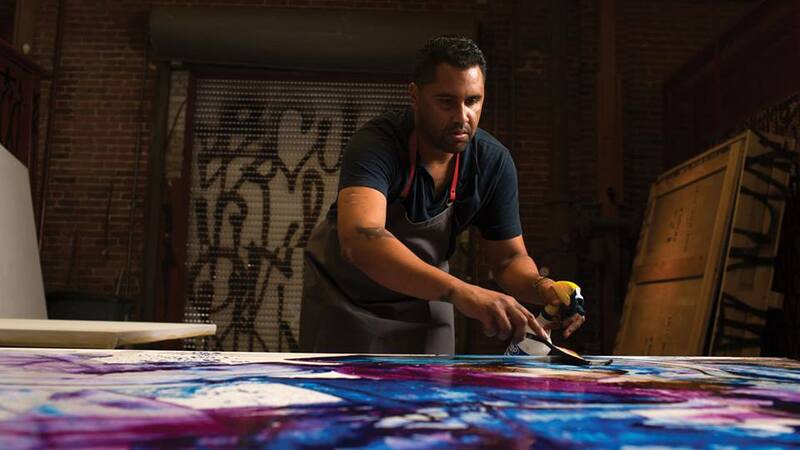 RETNA’s art will be featured in Seattle Opera’s upcoming production of Aida May 5-19. No artistic experience necessary. Youth who identify as People of Color or LGBTQIA+, as well as young people living with disabilities, are encouraged to sign up for the limited number of spots. RETNA will guide students in the creation of 7-by-8-foot art pieces that will be on display at McCaw Hall. Known for his long and geometric script, RETNA will be creating outlines, and then the teen artists will fill in the negative space with their own creativity. - A permission form/release signed by a parent/guardian. Born Marquis Duriel Lewis, RETNA picked his moniker from the lyrics of a Wu Tang song that resonated with him in his youth. While he got his start with graffiti and tagging, RETNA’s practice now includes street art and painting on canvas. RETNA, who identified as Black, Salvadorean, and Native American, developed his long, geometric script while looking toward Egyptian and Native American traditional symbols. Egyptian hieroglyphics are one of the marked influences on his unique alphabet. 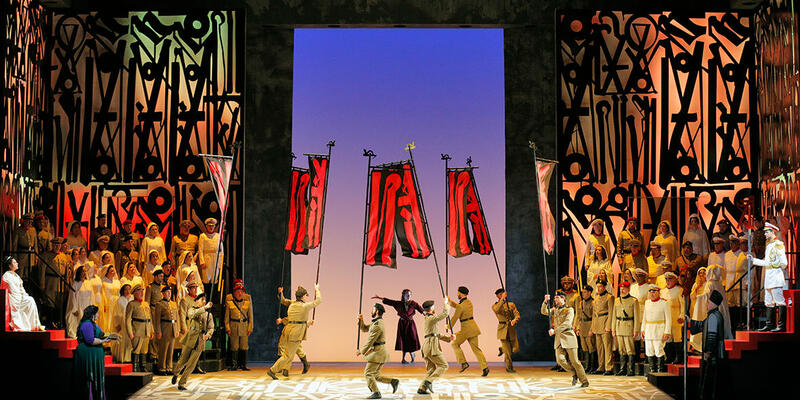 The work of street artist RETNA comes together with the music of Giuseppe Verdi for Seattle Opera’s Aida. Verdi and RETNA are not as far apart as one may assume. Graffiti and opera can both be controversial. Both can promote social change or protest on behalf of those seeking freedom from the oppression of society, religion, and the state. Like RETNA and other contemporary street artists, Verdi was not afraid to take risks or fight entrenched power structures. "Interestingly, RETNA has as much of an authentic connection to Egypt as Giuseppe Verdi did, if not a greater one: Egyptian hieroglyphics are one of the marked influences on his unique alphabet." [ Read more HERE ]. Thank you for constantly being a part of the effort to encourage talent in young people.